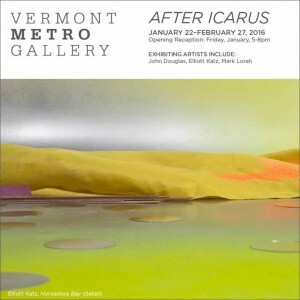 After Icarus – 3 person show at Vermont Metro Gallery at Burlington Center for the Arts, Church Street Burlington, VT. On view: January 22 – February 27, 2016.Opening: January 22, 5-8 PM. • Main Exhibition dates: Monday, February 1 – Thursday, March 24, 2016. Sherburne County Government Center on Highway 10, at 13880 Business Center Drive, Elk River, MN 55330. Hours: Monday – Friday, 8:30 am – 4:30 pm. • Reception: Sunday, February 7, 2016, 1:00 – 3:30 pm, Sherburne County Government Center. Awards presentation begins at 2:15 pm. 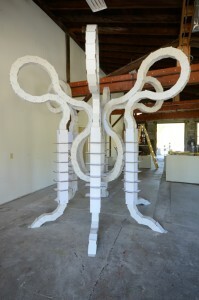 My sculpture, “Hex-axon” is on view at The Carving and Sculpture Center in West Rutland Vermont. This is on view through the winter.